This post was almost as lovely as Pointless. 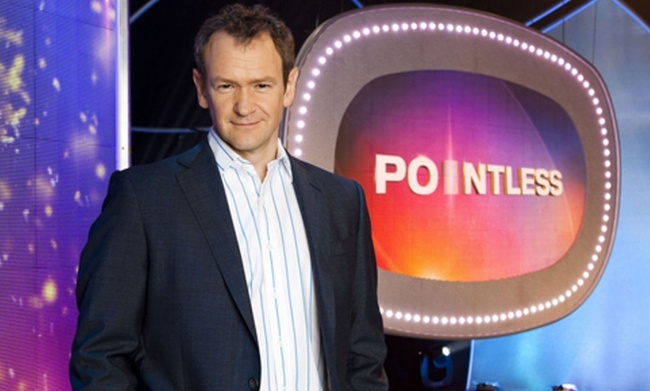 The thing that drives me mad watching Pointless is when someone in the final round names the most obvious possible answer to a question even though only a pointless answer will do. If you need to name a book by William Golding, honestly you’re better off guessing a completely random title than saying Lord Of The Flies! My “favourite” example of this was a couple who were asked for any track that appeared on Nirvana’s “Nevermind” and went with those obscure deep cuts Come As You Are, Lithium and Smells Like Teen Spirit.